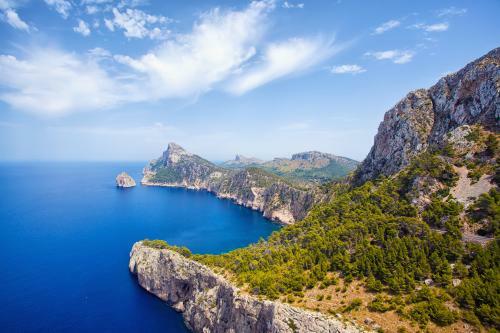 Madrid, Spain, 2019-Apr-15 — /Travel PR News/ — Deploying new resources and actions for the progressive adaptation of the Balearic Islands (Mallorca, Menorca and Formentera) to the objectives of the 2030 Agenda, is one of the main objectives of the agreement signed between the World Tourism Organization (UNWTO) and the IMPULSA BALEARS Foundation. Its aim is to jumpstart the process of the strategic reformulation of tourism in order to make an effective contribution to sustainable development. This entry was posted in Business, Festivals and Events, Tourism, Travel, Travel Management, Travel Services, Travelers and tagged 2030 Agenda, Balearic Islands, Carmen Planas, Destination, Formentera, Mallorca, Menorca, tourism, UNWTO, Zurab Pololikashvili. Bookmark the permalink.